This was due to the costs of servicing the public debt. The international reserves of Ukraine in July 2017 decreased by 176 mn dollars down to the equivalent of 17.795 bn dollars, the press service of the National Bank said in a statement. The central bank said the decrease was insignificant (less than 1%) and it is primarily due to the costs of servicing the public debt. In July, the government received $ 157.9 mn from the placement of domestic government bonds (OVDPs) denominated in foreign currency. At the same time, the Cabinet spent $ 579.4 mn to service and repayi the public debt, of which $ 509.9 mn for the purpose of servicing and repayment of treasury bonds. The net purchase of currency by the National Bank in the framework of foreign exchange interventions in the interbank market amounted to 29.8 mn dollars. In particular, within a month the NBU acquired 64.7 mn dollars (including $ 52 mn – for interventions in the form of a request for a better rate). 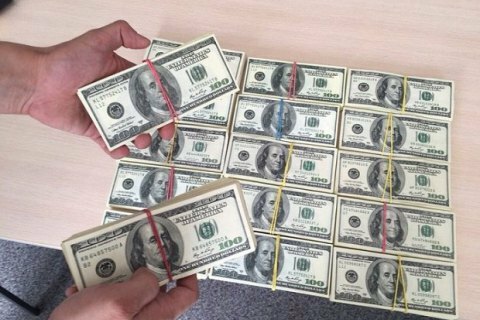 At one currency auction in July the National Bank sold $ 34.9 mn. As of August 1, the size of international reserves covers 3.7 months of future imports and is sufficient to meet Ukraine's obligations and current operations of the government and the NBU. Since the beginning of the year, international reserves grew 15% from $ 15.5 bn to $ 17.8 bn.